Because it s no longer clear who is predator and who is prey. Every now and then I stumble across a book that makes me ask myself how I hadn’t heard about it sooner, or how I had never read anything else the author has written. This is one of those times. The Dead Seekers by Barb and J.C. Hendee was a fun and immensely satisfying read that I was unable to put down once I had started reading it. Barb and J.C. do an amazing job of hooking you in the first few pages of the story and not letting you go until the very end. Never again will I assume that just because I have never heard of an author or a book before I request a copy to review, that it is safe for me to read just a few chapters before going to sleep. I was still reading The Dead Seekers at 4 AM in morning and didn’t stop until I had completed it. 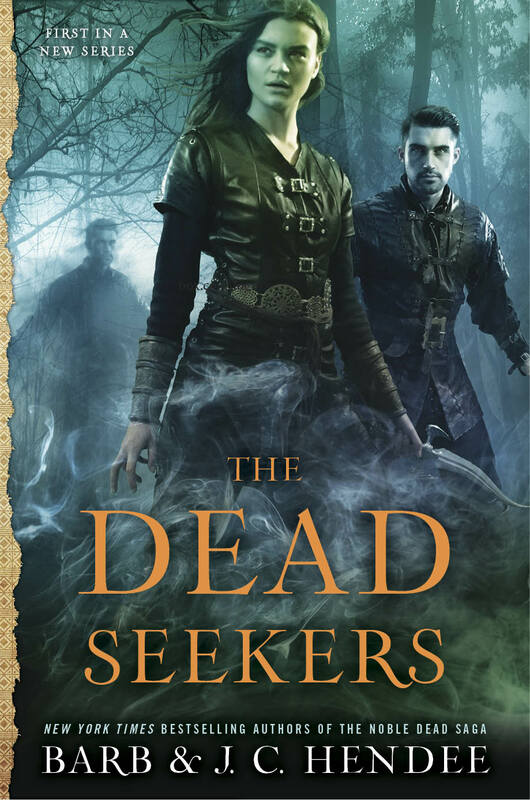 The Dead Seekers is one of those books where I liked pretty much every aspect of the story and find it difficult to put my finger on any specific part of it. The characters the authors created were just fantastic. I absolutely loved reading about Tris and Mari and the way they grow as people throughout the book was great. I always find it interesting when we get such deep insights into how a character becomes who they are, or where they came to be. Even the secondary and tertiary characters that we are introduced to throughout the book were fully fleshed out and believable — no one felt like they were mere extras in the background of a movie. I didn’t even realize that The Dead Seekers was part of the same world as Barb and J.C. Hendee’s Noble Dead series until days after I had finished reading it. Though, looking back at the book, it really should have been obvious. 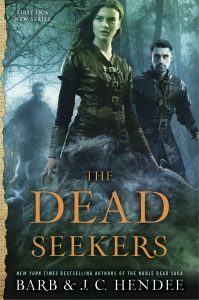 The world building in The Dead Seekers was just too good for it to have been a debut novel, though I’m glad I went into this story so uninformed without any expectations. I now have to go out and buy all the books in the Noble Dead series. If The Dead Seekers is anything to go by, then it’s going to be amazing. I’ve already added The Dead Seekers to the list of books I keep on hand for when someone is looking for a recommendation. I’m eagerly awaiting the book two and I know it’s going to be a difficult wait.